ដោយ ជុន ច័ន្ទបុត្រ 2014-02-27. Read in English here. ដោយ៖​ ណុល ដា​រ៉ា​ | ថ្ងៃសុក្រ ទី28 ខែកុម្ភៈ ឆ្នាំ2014, VOD. Read in English here. លោក ហ្គា​រ៉េត អ៊ី​វ៉ាន អតីត​រដ្ឋ​មន្ត្រី​ក្រសួង​ការបរទេស​អូស្ត្រាលី ដែល​ជា​ស្ថាបនិក​កិច្ចព្រមព្រៀង​សន្តិភាព​ក្រុង​ប៉ារីស (រូបថតពី៖ yourcommonwealth.org) Prof. Gareth Evans, former Australian foreign minister and the architect of the Paris Peace Accords. Cambodia's government has been getting away with murder. Not the kind of genocidal slaughter conducted by the Khmer Rouge in the 1970s. Nor the scale of killing that has been roiling Syria, or that has put Ukraine, Venezuela, Thailand and Bangladesh in the global headlines of late. But murder nonetheless, with Cambodian citizens deliberately targeted by their country’s security forces. On January 3, five striking garment workers were shot dead in Phnom Penh while peacefully demanding a minimum livable wage. Many others were severely injured by gunfire and beatings. More than 20 have been detained without trial. This followed deadly violence against unarmed demonstrators protesting against last year’s deeply flawed national election, won, yet again, by Prime Minister Hun Sen’s ruling Cambodian People’s Party, which has dominated political life for more than three decades. The recent killings repeat a pattern of political violence that has recurred all too often at crucial moments in Cambodia’s history – even after the 1991 Paris Peace Agreements, which were intended to bring not only peace, but also democracy and human-rights protection to the country’s long-suffering people. No country in the world deserved all three more, ravaged as it was for two decades by massive United States bombing, civil war, a genocidal reign of terror by the Khmer Rouge, invasion by Vietnam and more civil war – with some two million dead as a result. Hopes were high that Cambodia had been set on a transformative path by the success of the United Nations peace plan, the huge peacekeeping operation that followed and the remarkably peaceful election of 1993 (in all of which Australia played a leading role during my time as Foreign Minister). In some respects, those hopes have been realised. The Khmer Rouge did wither away, and with it the lingering threat of renewed civil war. The Cambodian economy – strongly supported in recent years by aid and investment from China – has grown steadily (though it lags behind most of its regional neighbours, and concerns about corruption and political instability are preventing it from reaching its full potential). But Cambodia’s record on democracy and human rights since the Paris Peace Agreements has not been a good one. A grenade attack on an opposition rally led by Sam Rainsy in March 1997 killed 16 people and injured more than 100. Opposition leader Sam Rainsy yesterday claimed that if Prime Minister Hun Sen tries to use authorities to quash future opposition-led protests, the armed forces and police would disobey the government’s orders and join the protesters, as has occurred during the recent political upheaval in Ukraine. The Cambodia National Rescue Party leader’s comments came a day after the premier lifted a ban on pubic assembly but said that any CNRP demonstrations would be met with counter-demonstrations by the ruling party as both parties share “equal rights”. “Two million people will join the protest [here] as in Ukraine, and the armed forces will not open fire on villagers; in the end, they will join us,” Rainsy said at a public forum in Kandal province. The opposition leader said that Cambodian People’s Party protesters – who he described as “gangsters” – were usually protected by state security forces. Speaking with the Post later, Rainsy added that despite his party previously calling for an improvement in the political environment before top-level negotiations could take place, he was unconvinced that Hun Sen was being “conciliatory” by lifting the protest ban. Interior Ministry spokesman Khieu Sopheak yesterday rejected Rainsy’s claims that authorities would join protesters. Senior CPP lawmaker Cheam Yeap said that Cambodia could not be compared to Ukraine, because anti-government protests here had been instigated by a political party that lost an election. Finally, CNRP leaders were allowed to visit Mr. Vorn Pov and 20 other heroes in prison (Correctional Center No. 3) in Kampong Cham. H.E. Kem Sokha and CNRP delegates have visited our heroic demonstrators such as Mr. Vorn Pov who were arrested by Hun Sen's illegal government at Correctional Center No. 3 aka M3 in Trapang Plong. He has given financial support to those heroic demonstrators, asked them about their health, and listened to their requests. And he has encouraged all of them to be spiritually strong. He will try his best until our freedom is materialized. លោក កឹម សុខា បានទៅជួបវីរៈបាតុករដូចជា លោក វ៉ន់ ពៅ ដែលរដ្ឋាភិបាលលោក ហ៊ុន សែន ចាប់ឃុំឃាំងនៅមណ្ឌលអប់រំកែប្រែទី៣ ហៅ ម៣ ត្រពាំងផ្លុង។ លោកបានផ្ដល់ជាថវិកាជូនវីរៈបាតុករ សាកសួរបញ្ហាសុខភាពរបស់ពួកគាត់ និងស្ដាប់សំណូមពររបស់ពួកគាត់។ ហើយលោកក៏បានលើកទឹកចិត្តវីរៈបាតុករឲ្យពង្រឹងស្មារតីរឹងប៉ឹងឡើង។ លោកនឹងព្យាយាមរហូតទាល់តែទាមទារឲ្យលោកមានសេរីភាពវិញ! 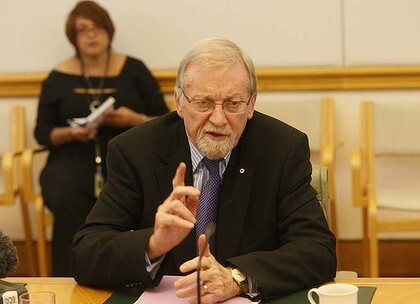 Former Australian Foreign Minister Gareth Evans has said Cambodian political leaders should be “named, shamed, investigated and sanctioned” by the international community in unprecedented public criticism by the one of the architects of the 1991 Paris Peace Agreements. In an opinion piece published in today's Post, Evans says the behaviour of the administration led by Prime Minister Hun Sen “has now moved beyond the civilised pale”. “Cambodia’s government has been getting away with murder,” Evans writes, adding that the response of the international community in the post-election period, marked by mass protests before a violent crackdown by authorities last month that left several dead, was “muted”. “Australia’s statements have been typical – falling over backward to avoid giving offence, and too anxious to balance criticism with praise,” he says, adding that a recent meeting between Australian foreign minister Julie Bishop and Hun Sen saw “no robust critique” delivered. “There is a place for quiet diplomacy that relies on genuine engagement to encourage significant behavioral change. But when states behave badly enough for long enough, loud megaphones can also be in order. “I know Hun Sen and worked well with him in the past. I have resisted strong public criticism until now, because I thought there was hope for both him and his government.… [But] it is time for Cambodia’s political leaders to be named, shamed, investigated and sanctioned by the international community,” he writes. Son Soubert, who first worked with Evans in the lead-up to the Paris accords, to which the Khmer People’s National Liberation Front, led by his father, Son Sann, was a signatory, praised Evans’ decision to speak out. “I really support his views and his courage to stand up for the Cambodian people … he knows quite well that [Hun Sen] will never change,” the former constitutional council member and current Human Rights Party president said. Council of Ministers spokesman Phay Siphan yesterday said that on the contrary to Evans’ call, foreign governments should engage to help Cambodians “transition” and make their own democratic choices. He added that Evans should examine what has recently occurred in Cambodia beyond media reports. PHNOM PENH (The Cambodia Herald) -- When the opposition leader Sam Rainsy, a Cambodian-French politician, started his Facebook page three months before the last July 2013 election, he may have thought that Facebook could be an effective communication tool for him to spread his political messages to the Cambodian voters, especially the young ones. The election result proved that the opposition leader is absolutely right by choosing the social media to promote himself and spread political messages in Cambodia where the ruling Cambodian People’s Party of Prime Minister Hun Sen still dominates the traditional media such as newspapers, radio stations and television stations. The opposition Cambodia National Rescue Party won 55 seats out of 123 seats in the National Assembly. That is a big jump from 29 seats, the Sam Rainsy and the Human Rights Party, which formed the CNRP, won in the 2008 elections. Sam Rainsy even claimed that if there were no election frauds, CNRP may have won seats more than enough to form a new government. The opposition leader Sam Rainsy now claimed that his Facebook page is the most popular page in Cambodia, having 440, 000 fans, who like the page. Everyday, Sam Rainsy, with the help from his assistants, posted his daily activities, political messages, and news stories which are in favor of the CNRP. 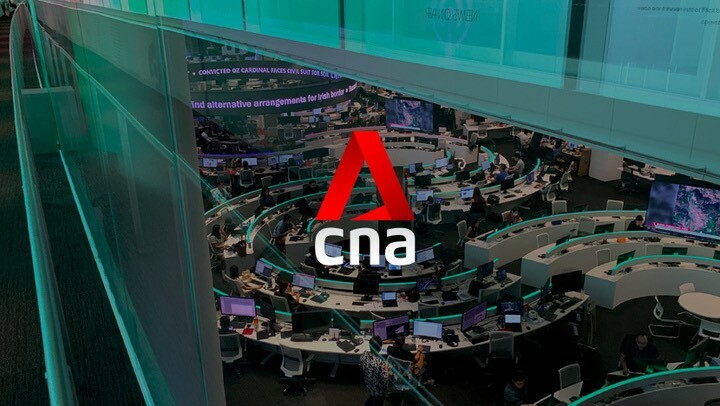 Even though the majority of traditional media are in favor of the ruling Cambodian People’s Party, the social media ends the media monopoly by the CPP which has ruled Cambodia over three decades since the South East Asian country was liberated from the Khmer Rouge regime in 1979. Because of the impact of social media, Prime Minister Hun Sen’s power is shaky for the first time. After the election’s result was announced, Hun Sen, one of the Asian longest-serving leaders, acknowledged that the CPP still has some weakness, prompting him to announce extensive and deep reforms. A Chinese-owned company in Preah Vihear’s Tbeng Mean­chey district stumbled across an 8th-century sandstone carving of the Buddha while excavating land there on Wednesday, the provincial culture department said yesterday. Oug Vireak, a deputy with the culture department, said the firm Lan Feng had been bulldozing a two-metre-deep hole in the vicinity of the Yeak Phlok temple when they uncovered the pre-Angkorian relic, which measures 60 centimetres by 60 centimetres at the base and weighs some 50 kilograms. Moa Ri, director of the culture department’s heritage office, said that officials had requested that Lan Feng temporarily stop bulldozing in the area until experts are able to examine it further, noting that more antiquities could be buried there. Ri also said that the company must notify culture authorities when they discover such archaeological artefacts. Villagers have accused Lan Feng of clearing land without regard to the boundaries of their 9,000-hectare concession, and of failing to consider the concession’s impact on locals. Yesterday, ethnic villager Phan Sokhet, 25, said that some 100 villagers had gathered to watch over the area overnight to ensure that the company did not abscond with any other still-buried relics. Mr. Evans was appointed Australian foreign minister in September 1988, only two months after the first meeting between Mr. Hun Sen’s Soviet-backed regime and the U.S.-backed resistance led by Prince Norodom Sihanouk, and he was the first international figure to formally propose reunification of the country under the auspices of the U.N., which would come to pass in 1993. Writing an opinion column on Wednesday for Project Syndicate, which claims syndication in more than 400 newspapers, Mr. Evans, who has maintained a close friendship with Mr. Hun Sen’s government since the peace process of the 1980s and early 1990s, said he has lost hope that the ruling party is interested in protecting human rights or liberal democracy in the country. “Cambodia’s government has been getting away with murder,” Mr. Evans writes, before describing the onslaught by military police who shot dead five protesting garment workers and imprisoned more than 20 last month. Mr. Evans—who was in 1994 described as “the father of Cambodia” by Chheang Vun, a senior lawmaker from the ruling CPP—states that the recent killings form part of a “pattern” of strategic violence used by the government—with international impunity—when its power is threatened. A section of the group of rights advocates, land activists, monks, and CNRP members protesting outside Cambodia’s Supreme Court to demand the release of 21 protesters, Feb. 25, 2014. Cambodian Prime Minister Hun Sen moved Tuesday to lift a month-old ban on public protests by workers and opposition forces, but warned that government supporters have an equal right to rally, raising fears of violence if the two groups clash. In January, Cambodian police fired on striking garment workers, leaving five dead in what rights groups described as the worst state violence against civilians in the country in years. Authorities later instituted a ban on public gatherings, violently dispersing opposition Cambodia National Rescue Party (CNRP)-led protests that had been held alongside strikes by garment workers. “If the opposition party has the right [to hold demonstrations], government supporters will also have that right,” Hun Sen said at the opening of a power plant in Sihanoukville, adding that police might find it “difficult” to keep the two groups apart. Cambodian rights groups and opposition figures welcomed Hun Sen’s call to provincial authorities to lift the protest ban but voiced concern that rallies held at the same time by political opposition and government-backed groups could lead to violence. “We must avoid violence and confrontation,” rights group Licadho senior investigator Am Sam Ath told RFA’s Khmer Service on Tuesday. “The authorities must protect people equally and without favor toward any political party,” he said. Son Chhay, a senior member of the opposition CNRP, described Hun Sen’s warning of demonstrations by government supporters as proof of official bias toward the ruling Cambodian People’s Party (CPP). “The prime minister should look after the whole country, not just the ruling party. We must govern [Cambodia] according to democratic principles,” he said. The nomination of Rithy Panh's 'The Missing Picture' as best foreign film has lifted the spirits of a nation. Cambodian military police clash with protesters during a protest in Phnom Penh on January 27, 2014. The garment industry has been the chief engine of the Cambodian economy for the past two decades since its establishment in 1994. However, garment workers still account for a large part of the country's working poor. Workers are universally unhappy about the quality of life in general and the minimum wage in particular. To maintain basic livelihoods, they must work increasingly more over me, to the point of exhaustion and beyond as seen in the mass fainting at work of more than 4,000 garment workers in the past two years. On December 24th 2013, despite the workers' demands to increase the minimum wage to US$ 160, the Royal Government of Cambodia announced its decision to increase the minimum wage from US$ 80 to only US$ 95 a month by April 2014. They also outlined a plan to increase the wages to US$ 160 by 2018. Representatives from six major labour federations and confederations rejected the decision and called for a general strike, demanding an immediate rise in the minimum wage to US$ 160, which was consistent with the Ministry of Labour's assessment of the minimum wage of US$ 157-177 a month to survive in Cambodia in 2013. The demonstrations started that same afternoon of December 24th and led to a massive protest by the majority of workers over the next few days. The peaceful strike on December 29th was the largest protest. A major feature of this strike was that it was a 'self generated strike' by rank-and-file workers almost unanimously supporting the demand to raise the minimum wage. Employers and the government took increasingly aggressive steps to bring the strikes under control, but the strikes and mass rallies continued until December 31st. On December 31st, the Ministry of Labour announced a slightly modified proposal to increase the minimum wage to US$ 100 but protests continued; workers marched to the Council of Ministers where they were met with barbed wire roadblocks and riot police. Tensions were building between the workers and the authorities. Cambodia's floating villages have adapted to the ebb and flow of Southeast Asia's largest lake for generations, but modernisation and a scarcity of fish are now threatening their traditional way of life. CHHNORK TROU, Cambodia: Cambodia's floating villages have adapted to the ebb and flow of Southeast Asia's largest lake for generations, but modernisation and a scarcity of fish are now threatening their traditional way of life. Houses, schools, hairdressers and even dentists -- entire communities bob around on the Tonle Sap, whose waters rise and fall dramatically with the seasons. The huge lake, nourished by the mighty Mekong river, is home to hundreds of thousands of people eking out a simple -- but for many rewarding -- existence. "Life in the floating village is much better," said fisherman Sok Bunlim, who was born and raised in the lake community of Chhnork Trou, where fleets of canoes and small motorboats ferry people around. The community of fishermen has been living atop the Tonle Sap since the time of their great grandparents, and many older residents cannot imagine any other life. "If we move onto land, I wouldn't know how to plant rice. I wouldn't know how to plough. It is really hard," Bunlim, 62, told AFP while repairing his broken net. Modern life has not passed them by completely -- nowadays many people have stereo systems, televisions and small motorboats. But they still mostly depend on fishing or rowing around the village in canoes to sell food to earn a living. The Tonle Sap is a source of sustenance and survival for more than one million people living on or around the lake, which has at least 149 species of fish, the Mekong River Commission (MRC) says. Is Geraldine Cox in bed with the Cambodian government? Cambodia’s prime minister, Hun Sen, has been giving Geraldine Cox, founder of one of Cambodia’s most busiest orphanages called Sunrise Children’s Village, some major attention. To the extent that the prime minister himself has given Cox land to build orphanages, which has become one of the major income generators for Cambodia’s economy. Pre-2005, before orphanage tourism became a booming business model for the country’s travel and tourism industry, Cambodia attracted a little over a million tourists annually. However, the demand for “voluntourism” through orphanage tourism has helped catapult the annual number of tourists to 3.5 million in 2012 and climbing. Read the full article and watch the videos here. A little over a month after supporters of Prime Minister Hun Sen forced the cancellation of an opposition party rally here, CNRP leaders Sam Rainsy and Kem Sokha returned to address followers and promise that the change that swept away Ukraine’s president would soon sweep over Cambodia. "I guarantee that the next protest will not be joined by 200,000, but 2 millions," Sam Rainsy said, asking his supporters to be ready to make it 2 million. “If we could gather two million protesters as many as Ukraine’s, the armed forces will not shoot at the protesters, but they [armed forces] will unite with the protesters,” Sam Rainsy told his hundreds of cheering supporters in Kandal province. "Let the Cambodian People's Party sink, but we save all of Cambodian People,” said Sam Rainsy. He added the Cambodian People's Party can not avoid this because it was time to its end. Rainsy also attacked Prime Minister Hun Sen after he made a recent statement that there would be possibility that the CPP supporters will also hold protest. Prime Minister Hun Sen warned that the CPP would also hold protest if the CNRP supporters remain staging the protest against the government.